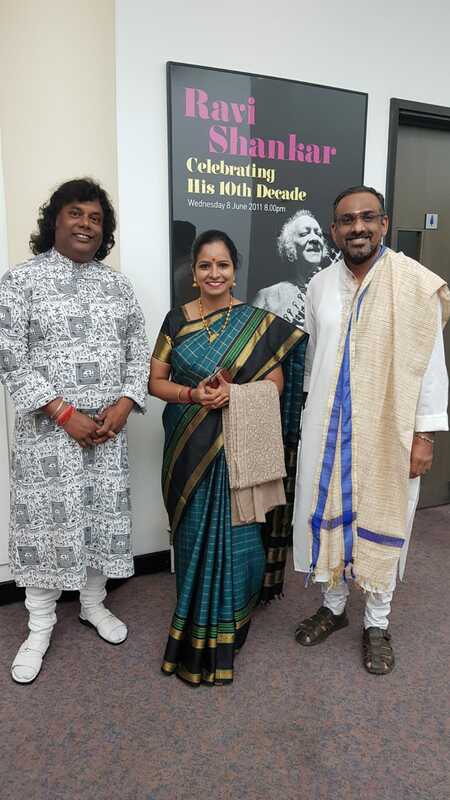 I have fond memories of performing in UK over the past 25 years. 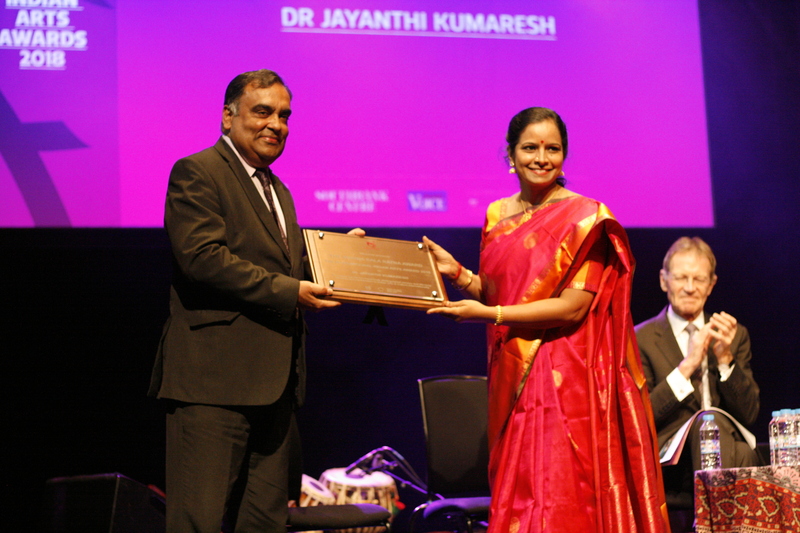 Instrumental music is celebrated throughout the world and the warmth from the audience in England has always been a blessing to me. This tour, spanning 4 cities, was no different! 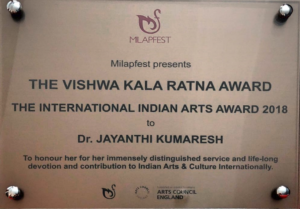 First stop was in London where I performed at the SouthBank Center for Milapfest 2018. 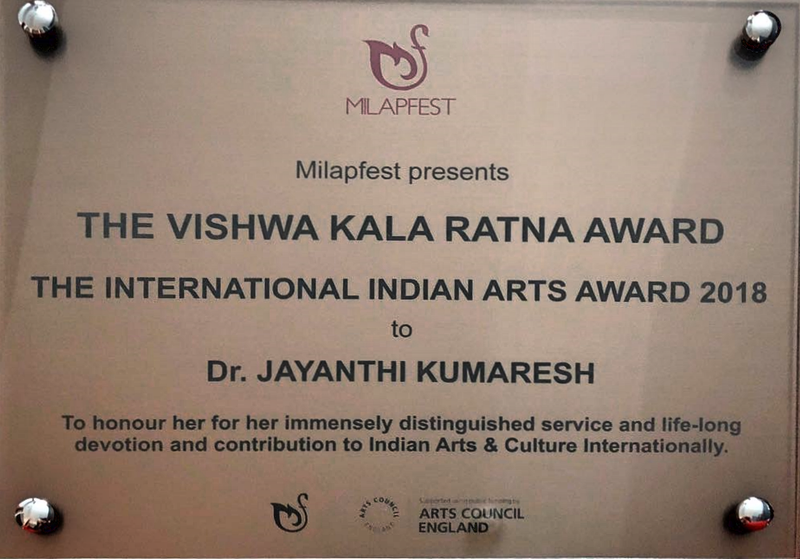 On Thursday, 14th June, 2018, I had the honour of receiving the award, “Vishwa Kala Ratna” 2018 from His Excellency Mr YK Sinha (High Commissioner of India) at Milapest’s National Indian Arts Awards, 2018. Following this was my concert for the evening and joining me on stage were two wonderful percussionists – Shri. K.U.Jayachandra Rao on Mridangam and Shri. 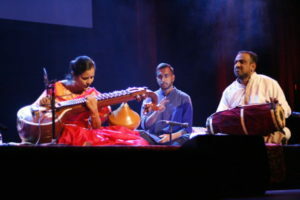 Kousic Sen on Tabla. Hope University organized The Big Hope Young Leaders Congress with panel discussions and concerts. 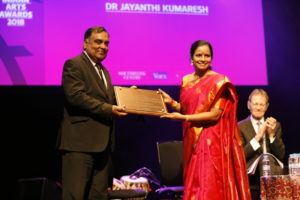 On Friday, 15th June, 2018, I was part of a discussion forum focusing on the importance of arts and culture, the difference that they make to individuals and to society and how this can be maintained in a culture of shrinking budgets – a relevant topic for today’s world indeed!That evening, the Saraswathi Veena took center stage and I had the opportunity to present Carnatic Music to young minds who were probably listening to Carnatic Music and seeing the Veena for the first time. 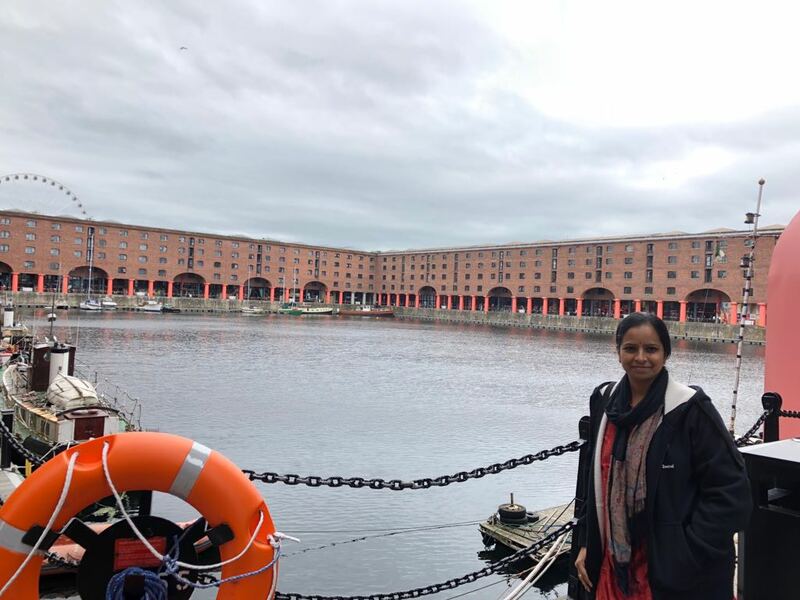 Manchester’s Bridgewater Hall was next on the agenda on Saturday, 15th June, 2018. 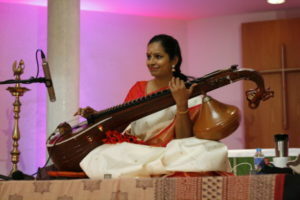 A hall with amazing acoustics and a warm audience – the percussionists and I had a beautiful experience performing here. A few days break in Liverpool saw us exploring the area and all things “The Beatles”! South Asia Arts – UK presented the Saraswathi Veena to the audience in Leeds for their Summer Solstice Festival at the Leeds College of Music on June 22nd, 2018!